Whatever your budgeting and forecasting requirements, financial, cash flow, sales, HR, operational or strategic, create the exact solutions you need to reflect your business requirements. Perform Scenario modelling and what-if analysis and immediately compare outcomes with historical data and alternate forecasts. Use global or local assumptions and drivers to quickly update and re-evaluate your budgets and forecasts. Use the built-in profiling and top-down outliner functionality to challenge bottom-up forecasts. Create continuous or rolling forecasts with automatic updates and links to the latest actual data to give upto the minute projections. Integrate data from any number of varied source systems into your budgeting and forecasting models to give more insight into trends, forecast development and variances. Create multiple versions of budgets and forecasts allowing you to manage many iterations and alternative plans and to model different ‘what if’ scenarios. Use the powerful rules engine to build models for driver and assumption based forecasts. These can be based on fixed global assumptions, individual user assumptions, on the latest year to date actuals or a combination. Assumptions to drive forecasts can be created and applied at any level – global, entity specific, region specific, time specific or product specific. Forecast all financial statements including P&L, Balance Sheet and cash flow as well as supporting schedules and non-financial values within the same model using the same base data. Integrate budget and forecast calculations with current and historic data from multiple sources, all together in one model. Easily include the latest plan data on reports and output alongside previous versions and other relevant comparatives. 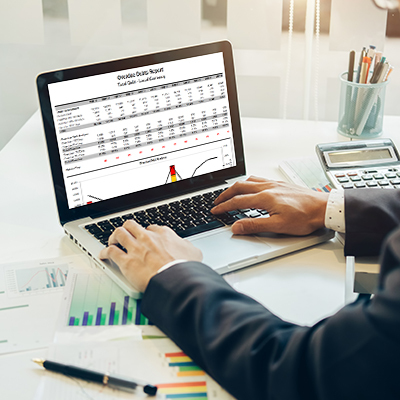 The inbuilt profiler function provides a wide range of methods including equal spreads, trends, linear growth, percentage growth and set values which can be used to help construct and challenge bottom up forecasts. The Top Down Budgeting feature enables high level changes to be instantly cascaded down through the organisation. Create versions that automatically blend actual and forecast data. Roll to the end of the current year or on into future years.